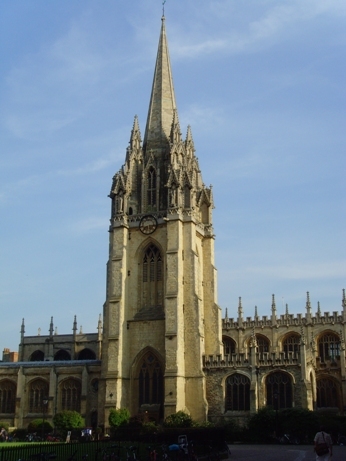 Also known as the University Church, SMV is often described as being the most visited parish church in England. The bells are from a number of founders, cast between 1611 and 1894 and the fourth has two bands of music encircling it as part of its inscription. The tenor bell is swung during every University degree ceremony. The University Church underwent a major restoration project in recent years, including rehanging the bells on new fittings.